Jimdo is a robust, mobile responsive website builder that now hosts over 15 million websites! It offers a free basic service – which provides you with enough tools to build a functional website – as well as two-premium services. 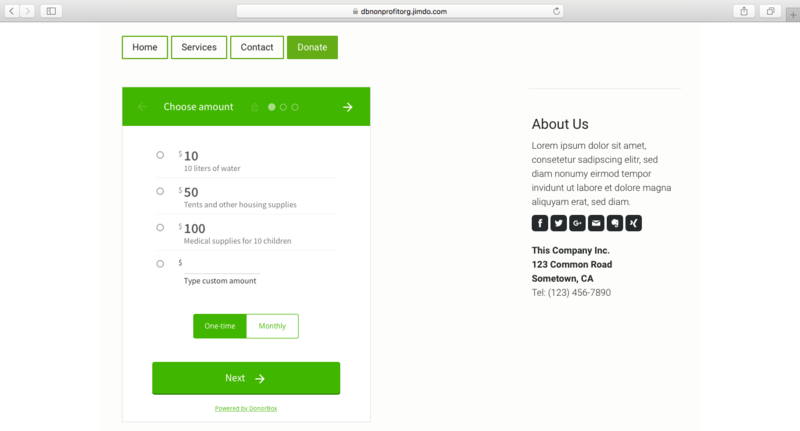 For those of you who have created your website on Jimdo or are planning to, here is a quick guide on how to embed your recurring Donorbox donation forms onto a Jimdo website. 1. Go to your Donorbox dashboard and click the “Embed Form” button by the campaign you wish to embed on your website. 2. 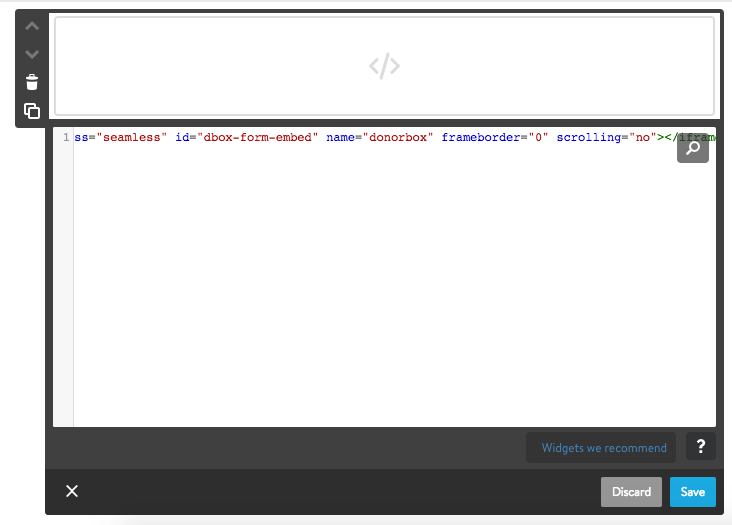 Once you have customized the parameters of the form you want to embed, copy the form’s embed code. 3. Now, go to your Jimdo website editor, and find or create the page onto which you want to embed your donation form. You can create a page by scrolling over your navigation menu and clicking “Edit Navigation”. Then, click “Add a new page” and type in the title you wish to give the new page, and click save. 4. Now, go to your new page and click the “Add Element” button. 5. 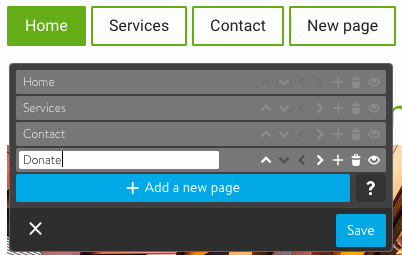 Click “More Elements and Add-ons” to expand the elements menu, and find the “Widget/HTML” element. 6. Paste your donation form’s embed code into the appropriate text box and click the save button on the bottom right. 7. Your donation form should now appear on your new page in the website editor. 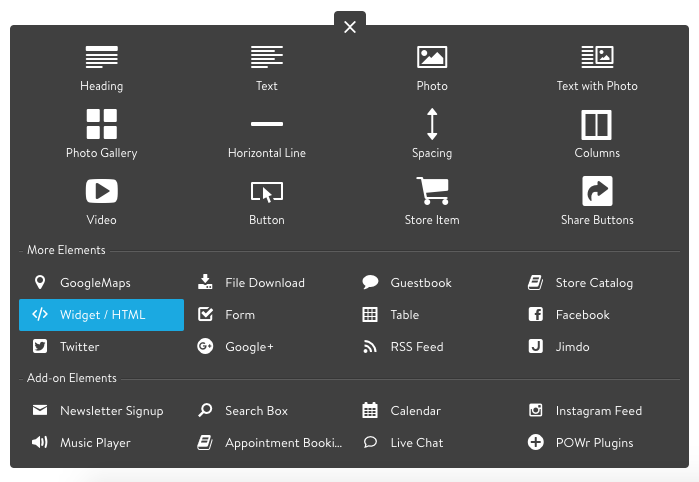 No need to press a save or update button, as Jimdo automatically updates your website.